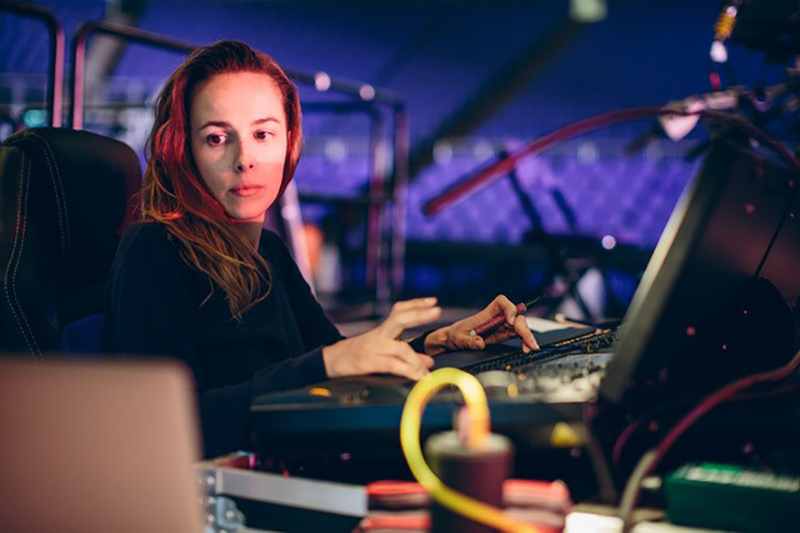 Céline Royer grew up in France but followed her lighting design dream to the U.S. where her big break came as lighting designer for Linkin Park, an experience that had a profound effect on her. A talented designer, programmer and operator, her industry journey has taught her about both lighting and herself. You grew up in France and started your lighting career there. What do you miss most about France? My family, friends, my culture… Oh, and the French healthcare system, ah. Why leave your home country and move to LA? I came to know New York on my first trip west, and this proved to be the most incredible melting pot of cultures. My love for the US grew from this discovery in 2007. So I moved to the US to hopefully work on more significant projects. The artists I was listening to at that time were in the States. I was listening to bands from California, The Beach Boys, Blink 182, Rage Against the Machine, Jeff Buckley… Ending up in LA had been a dream from my youth. Has being a fan of a band influenced your lighting design? That’s a tough question. I had and have favorite bands that I desire to work with. However, it’s mostly the lighting designers that influenced me more than bands. Working with the band In Flames and their lighting designer at that time, Morgan Brown, taught me a lot and helped me to build the unique characteristics of the craft. Also, NIN and Rammstein’s shows were a significant influence on me. French LD Dimitri Vassiliu was a massive influence, helping to fine-tune my eye. Do you see a difference between European and American lighting design? Although it is common to find significantly larger productions originating in the US, I've come to find that bigger is not always necessarily better. I find that European designers frequently take a more subtle and nuanced approach toward the aesthetic. When you need to come up with something original, where do you start? starting anything. What’s the story? It depends on the project. If the client is a band, listening to their discography, check what they have done in the past. Also going to exhibitions, and live shows. Is there a lighting experience or two that you’ve been a part of that really sticks out in your mind? 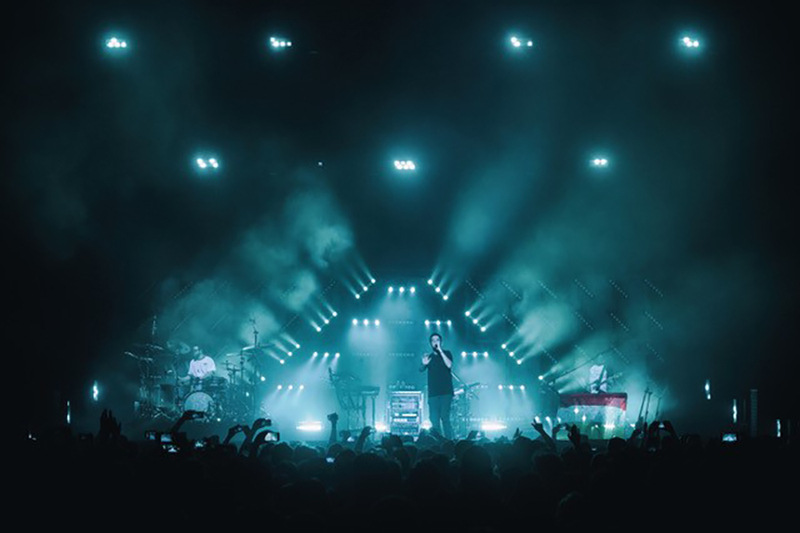 Yes, the two projects I learned the most about lighting and myself I guess were the tour I did with Matthieu Chedid, a French multi award-winner, and working with Linkin Park. You were lighting designer on Linkin Park’s ‘One More Light’ Tour when Chester Bennington died. How did you deal with that and what affect did it have on you? This was the most devastating work-life moment I've experienced. It left everyone on the team and in the band devastated. The most important characteristic of the Linkin Park organization is the family setting. Everything about working with the band is anchored in a family environment; there is much love within this group, making the loss of Chester bittersweet. While we had each other to grieve with, realizing at the same time that it might be the last time we would work together added to the pain of the loss. Also, Linkin Park was my big break, and I worked incredibly hard to create the vision for the “One More Light” tour. When it stopped unexpectedly, I felt as though a part of me was missing. It was challenging to begin working on another project. This industry can be tough on people. What do you do to stay healthy? I try to eat healthy. It’s the minimum I can do when I work long hours, and the hardest to do on tour. My sleep is very important too. Also trying to keep a workout routine when I’m away from home. What comes to mind when I say ‘Elation Professional’? Platinum and Jean Lariviere! Reliable. So I assume you’ve used Elation gear? I work on festivals with a lighting company in LA who own a variety of Elation products so I’ve used the Platinum Beam 5R, Platinum Wash, Platinum Spot, Protron 3K Color and SixBar 1000. Is there an Elation light you’d like to get your hands on? I’m a big fan of LED bars and LED color strobes so I would love to get my hands on the Chorus Line 16, the Protron Eclypse, the DW Chorus, the Pixel Bars and also those Dartz 360. I’m on Mike Shinoda‘s “Post Traumatic” tour in Europe. What do you like to do when you’re not doing lighting? I do yoga, surf a bit, love going to exhibitions, cooking, and spending hours at coffee places with my friends in LA. What’s something about Céline Royer that people might find surprising? I was also a singer back in France, I wrote music and sang for TV commercials. I also had a short career in hairdressing after college, but shhhh, don’t tell anyone. What advice would you give to a young lighting designer just starting out? lighting. In everyday scenes, streets, forest, beach, assess the lighting. 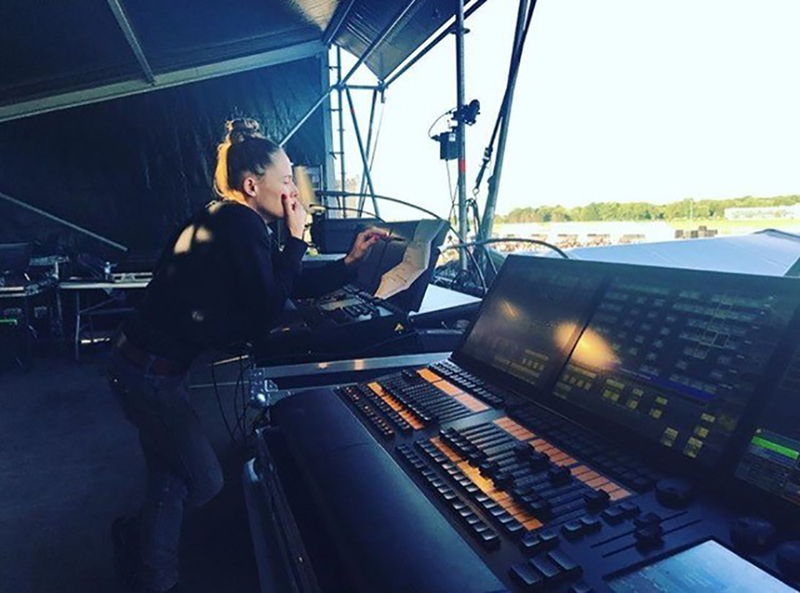 Do an internship at a theater community or a venue, or with a lighting designer. Become familiar with lighting equipment. Be ready to work long hours, and don’t give up.